While Colorado has strong music education programs statewide, not all students have access to instruments and instruction. Even in districts with exemplary music educational resources, a majority of students at the middle and high school grades are not accessing music instruction, and elementary students frequently do not have access to instruments. Additionally, approximately 150 schools statewide offer no music education opportunities for its students. As a new initiative, Take Note Colorado identified five school districts,to partner with and invest $450,000 in the pilot year. The districts were selected based on their geographic diversity and size. They included Roaring Fork School District, Aurora Public Schools, Morgan County School District Re-3, Mesa County School District, and East Otero School District. They collaborated with Take Note Colorado to share the local dynamics of music education for their students and how best to mobilize resources to meet the initiative’s objectives. The pilot year investment included purchasing new and repairing old musical instruments, providing modern band equipment and training, providing instructor stipends to offer out-of-school time instruction, and sourced grants to community organizations to increase students’ access to music. Take Note also raised $125,000 to support students in Denver Public Schools that offer no musical instruction and launched Music Match, an online resource that connects communities to local music needs. In addition to the pilot districts, Take Note Colorado, in partnership with the Colorado Department of Education, is identifying schools that self-report music not being a current school offering. As we learn more from this pilot feasibility study about districts’ and schools’ needs, strengths, histories and cultures, we aspire to collectively identify solutions to provide access to musical instruments and instruction for all K‑12 students in Colorado. To meet the needs identified, Take Note Colorado will look to make connections between the schools we’re serving and local, state and national nonprofits, funders and businesses. 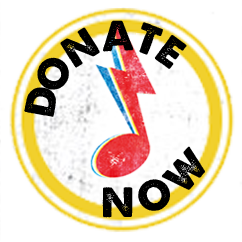 By serving as Colorado’s music education ambassadors, Take Note aims to galvanize local communities to work alongside us in support of music for K‑12 students. Additionally, Take Note is partnering with Jazz Aspen Snowmass to bring complimentary Beat Lab workshops to both the Basalt and Glenwood Springs Libraries this summer. The JAS Beat Lab is an applied education involving students playing an instrument, then learning how to arrange their music with the instruments from other members in the group. We’ve also been a part of the Jazz Aspen Snowmass three-day festival, raising awareness and funds to support our efforts.